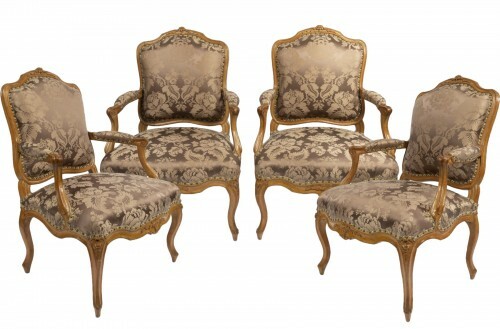 Series of three flat files chairs called "the queen" solid walnut. 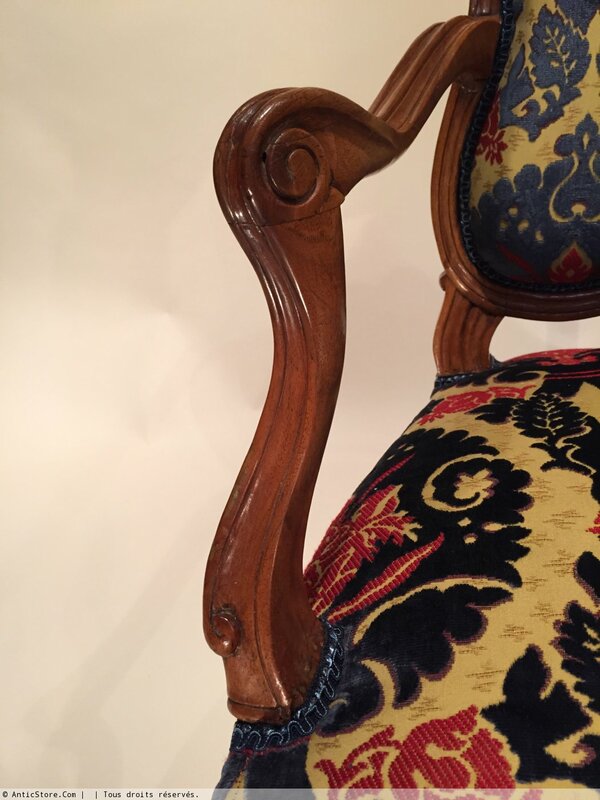 Model Violone a folder, high and low cross finely carved florets, curved legs and armrests very sinuous "whiplash". 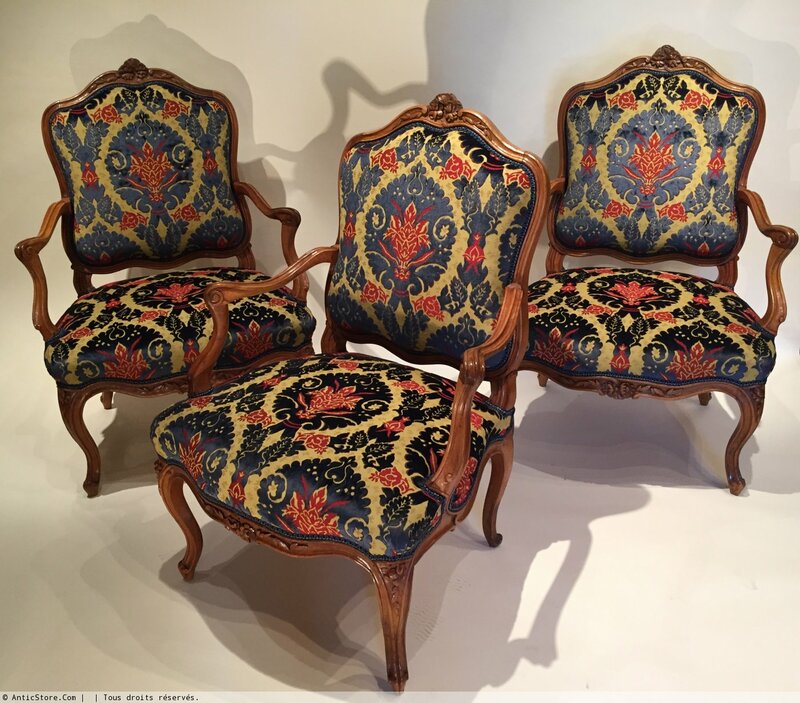 The standard seats presented offers the rare distinction of having been originally a release liner called "lace". 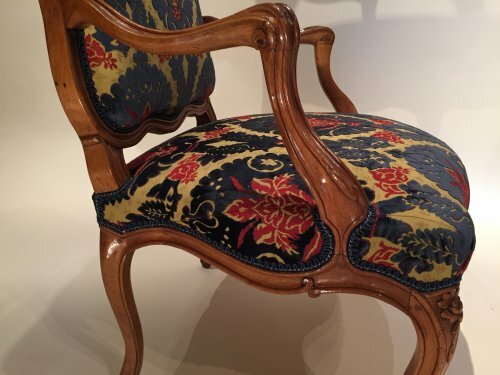 Such seals, like those in the chassis, seem to have been preferred by Lyon carpenters of the 18th century and allowed to change the fabric of the seats according to the seasons or the desires of their sponsors by tying them through the eyelets present on the back of folder and below the waist. 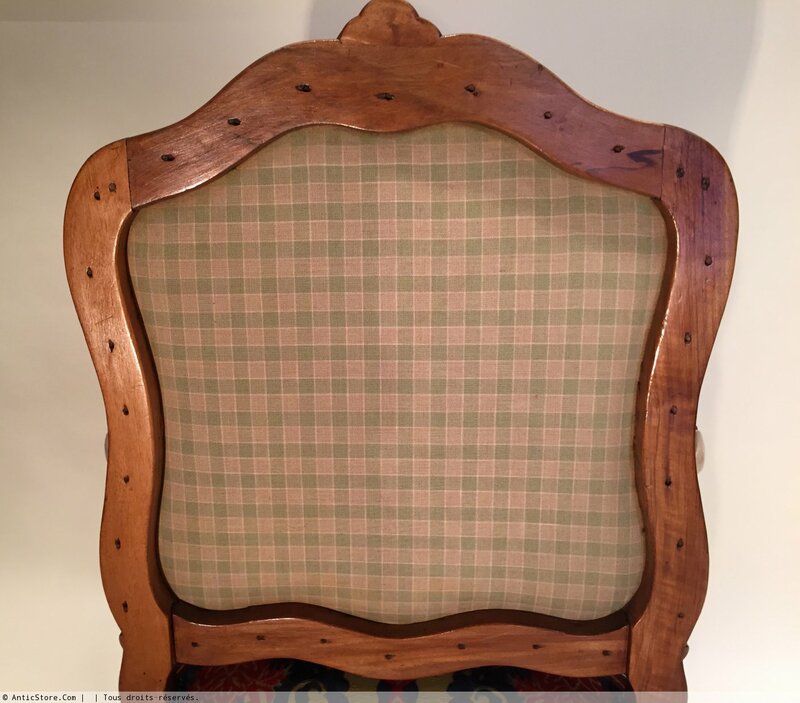 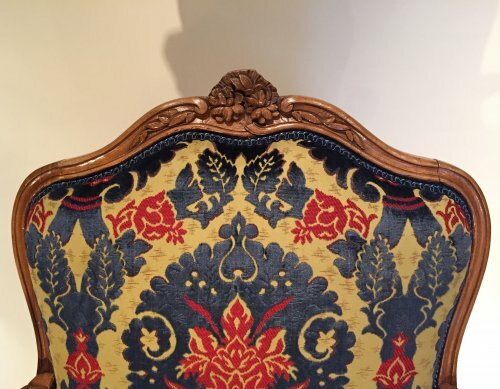 Trim natural hair redone by our upholsterer craftsman. 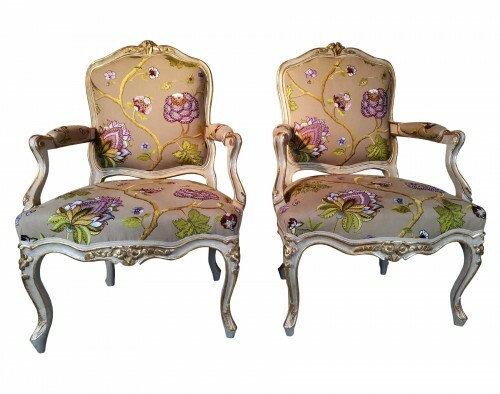 Covered with silk velvet of Genoa. 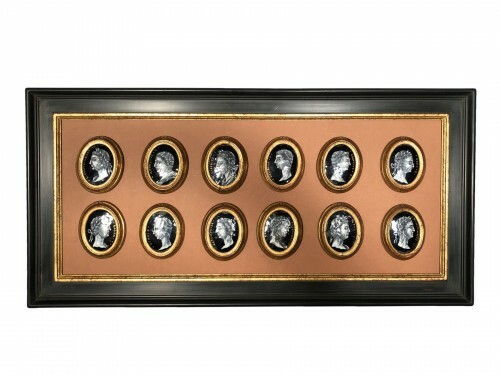 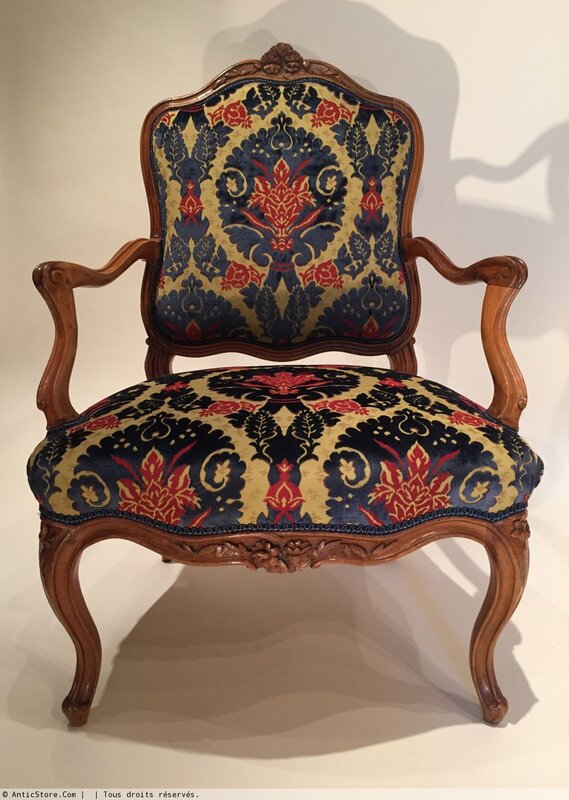 Work Lyonnais Louis XV in 1750 due to the studio of Pierre Nogaret (1718-1771). 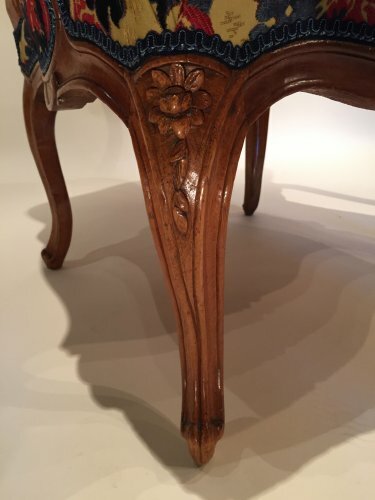 The highly curved shape, armrests in "boost" gasoline used (walnut), toppings "lace", the presence of a pin under the belts quoted are recurrent in the work of Pierre Nogaret. 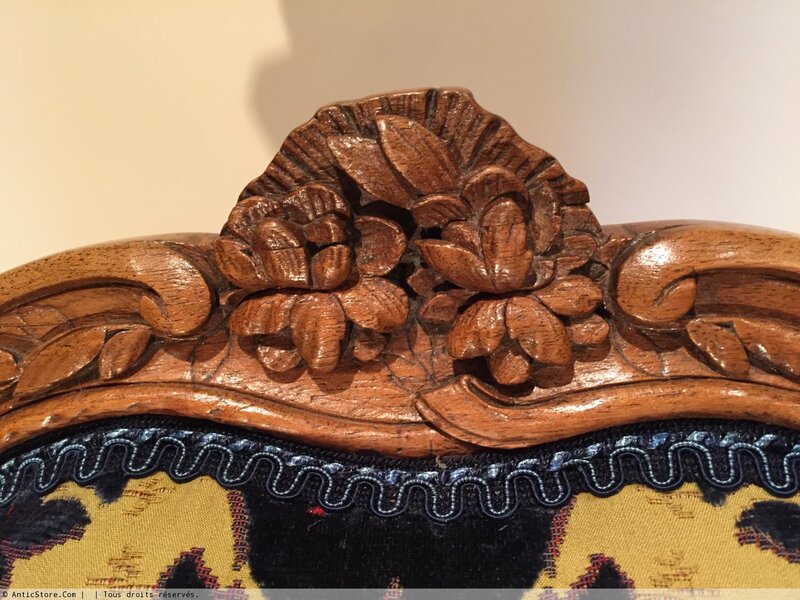 Finally, the quality of the sculpture can be attributed to François Canoe (1721-1786), brother-Nogaret and skillful sculptor, he was in charge of wood decorations in the shop. 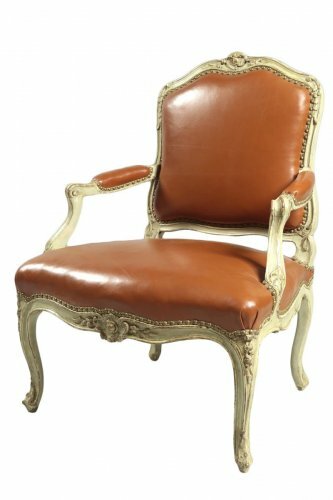 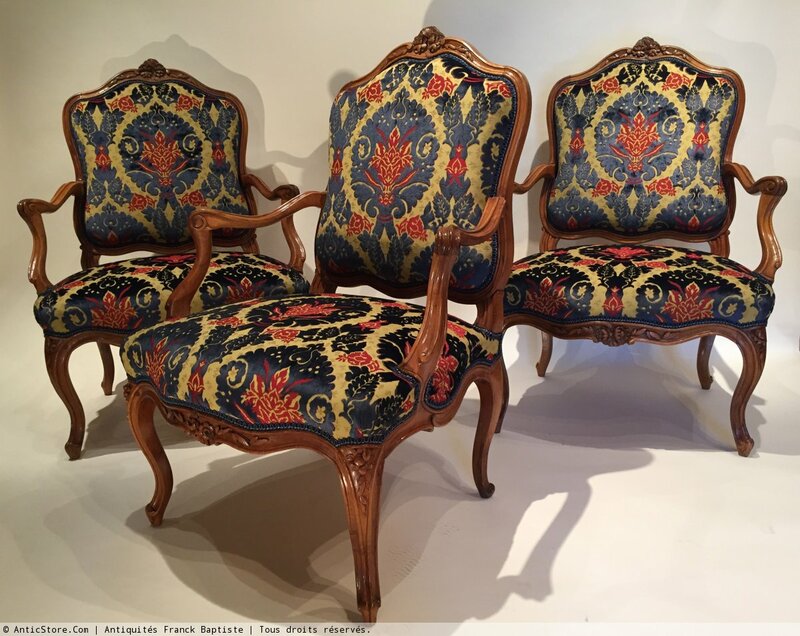 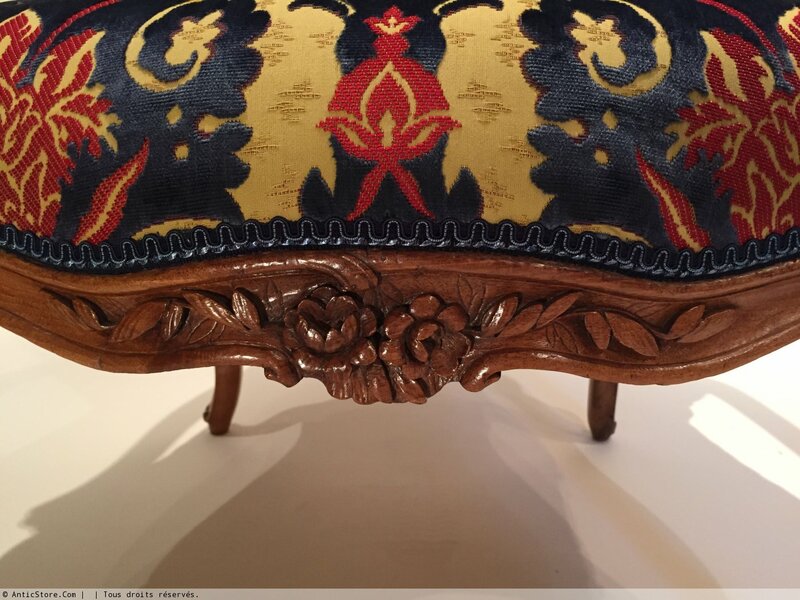 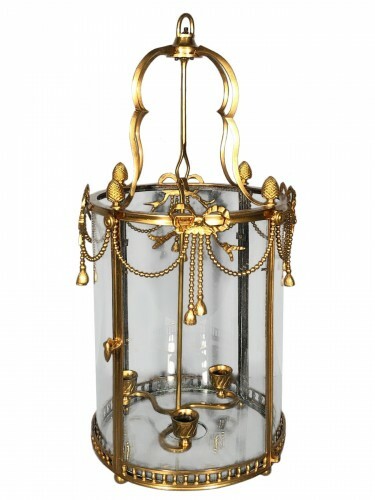 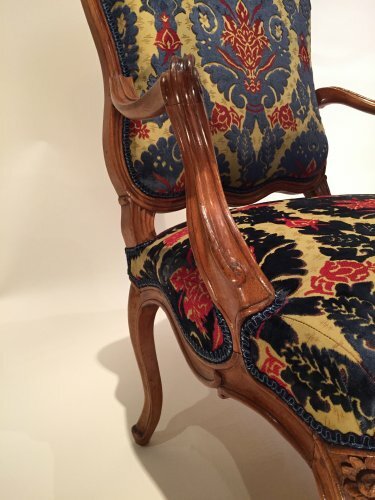 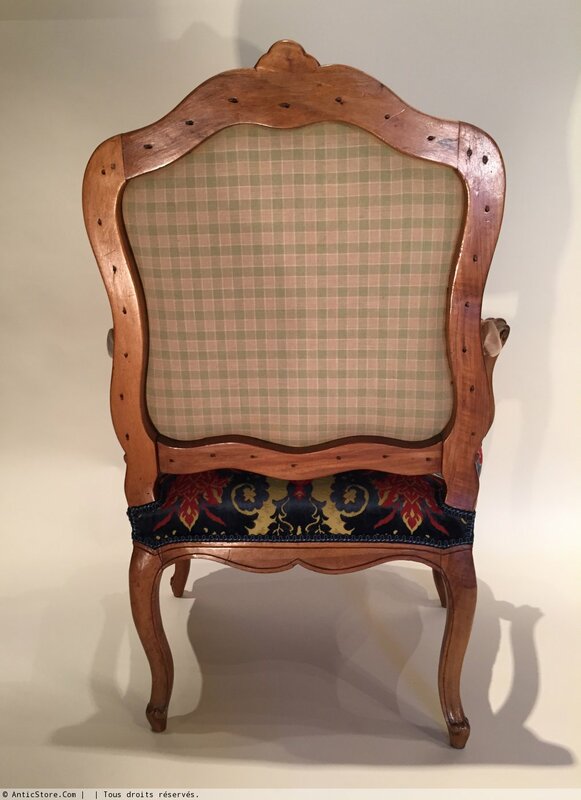 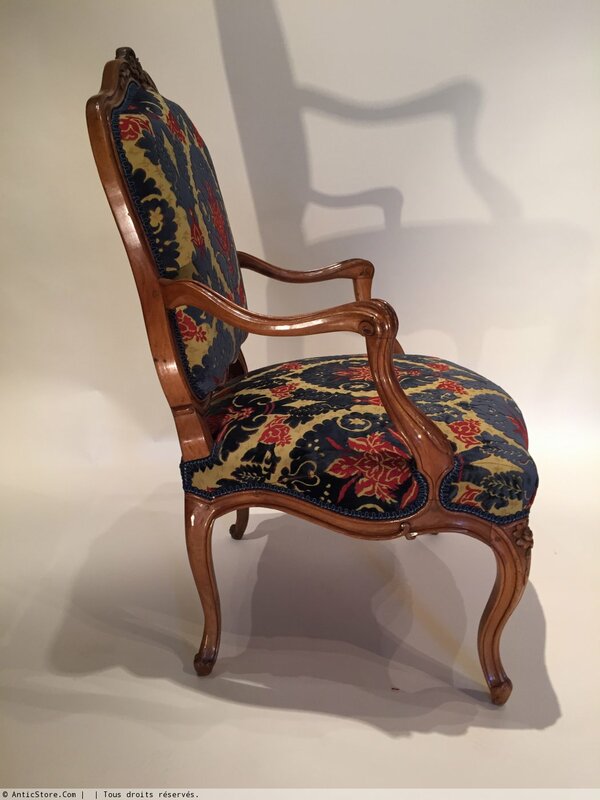 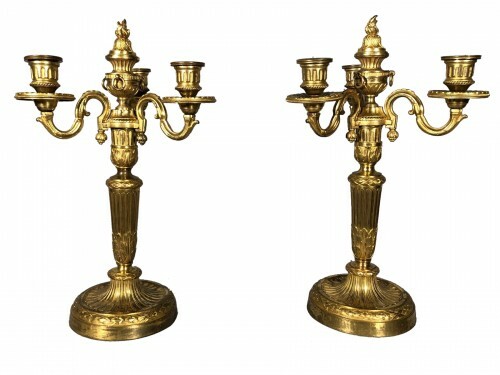 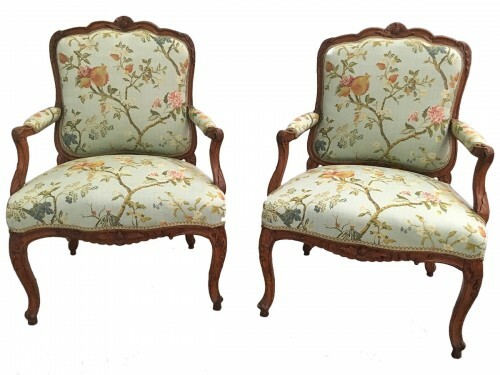 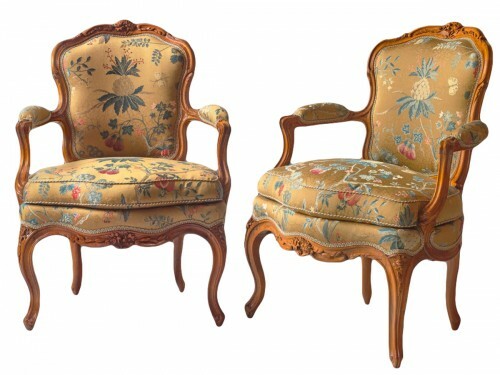 Its seats perfectly express Lyonnais style at its peak in the middle Louis XV in 1750.